ICN-Artea Consultants is a company specializing in tourism development for cities and cultural/ nature destinations which is characterized by its innovative proposals and original methodology. Since our origins in 1996, we have worked for a wide range of national and international tourism destinations. Our company combines the experience gained over these years with constant application of new paradigms and tools. Just as companies have to adapt their products to changing consumer needs, tourism destinations also need to better understand tourists and become a nexus between humans and their surroundings. This reinvention of tourism destinations in apost-industrial society requires formulas that allow visitors to discover themselves and reach the depths of their being: tourism as a reflection of the best life has to offer. Lalibela airport in Ethiopia. ESTDP project. Consultancy is undoubtedly a way of life, a job that keeps you constantly on the move, in contact with different people and teams and discovering destinations which are almost always surprising and wondrous. International projects tend to be exhausting and are generally complex. 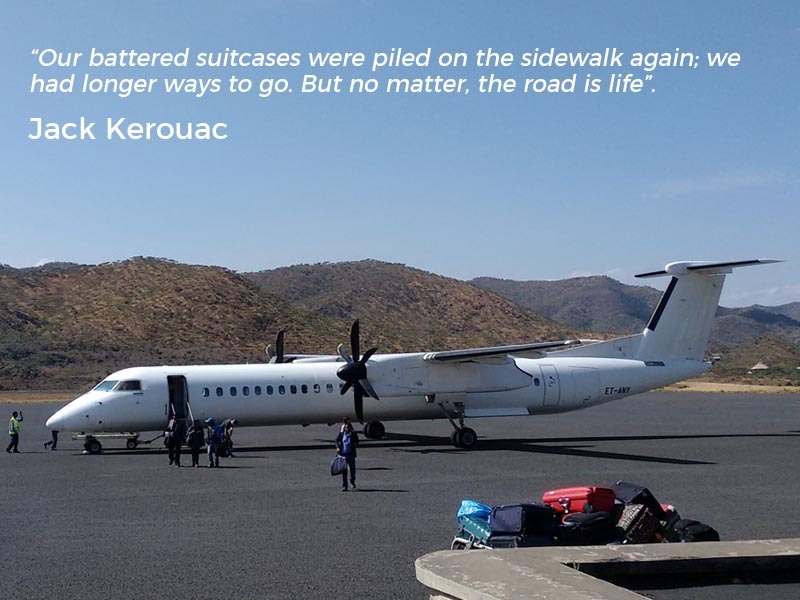 The element of adventure is an inseparable part of any expedition, something which far from discouraging us should serve as a stimulus, because as Kerouac said, the road is life and there are still so many of them to travel. Bachelor’s Degree in Geography. Master’s Degree in Heritage Studies and Didactics. Expert in strategic tourism development. With thirty years of experience in the consultancy industry, Álvaro has headed tourism projects for major Spanish cities and territories, offering a global vision of the tourism industry based around strategy, management and creation of products. At an international level, he has worked with organizations such as the World Bank, the Inter-American Development Bank and the UNDP. Partner and Director of the International Area. An expert in tourism and marketing strategy, Ana has worked as a team leader on various international projects for multilateral financial institutions and the World Tourism Organization. In her role as a researcher, she has headed various pioneering R&D projects in Spain relating to the consumption experience in tourism environments. International Consultant and Head of Projects in Eastern Europe. Consultant, Director of Selam Development Consultants and partner on multilateral projects for Ethiopia and Africa. Consultant, Director of May Hinds Consulting Inc. and partner on multilateral projects in LAC. Bachelor’s Degree in Business Administration, Master’s Degree in International Commerce. Consultant for project development and management.Expert in tourism economics. Bachelor’s Degree in Political Science. Tourism and European project development consultant. Expert in language tourism. Bachelor’s Degree in Marketing. Expert in digital marketing. Bachelor’s Degree in Computer Science. Consultant and archivist. Science and Technology Park of the University of Las Palmas de Gran Canaria (FCPCT). Partner on international projects. Juan Manuel Corchado University of Salamanca Technological Park Foundation. Partner on R&D projects.